Martin Sorrell’s S4 Capital posted a 44.6 percent rise in Q3 revenues to $33.1M and a 31.7 percent jump in gross profit to $23.1M. The performance marked the first trading update since Sorrell restructured the Derriston corporate shell and recast it as S4 with Holland’s MediaMonks as its core property. “We already see both a widening and deepening of the company’s client base, resulting in a strong performance for all three pillars at MediaMonks,” said Sorrell in a statement, referring to MM’s creative content & innovation, assets at scale, and platforms and e-commerce units. 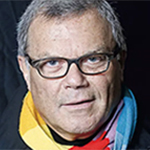 The WPP founder reported, “strong growth” in the US (New York and Los Angeles) and the addition of a San Francisco outpost to service technology clients. S4 completed work for Mondelez, PVH/Tommy Hilfiger, Instagram, Coty and Compass during the quarter. It also did work for Google, Amazon Prime Video, Samsung and Grupo Modelo.